My watch says it is March 1, but of course, it is not. My computer knows the truth--it is February 29, the extra day we get every four years. I feel the same way about leap day as I feel about the extra hour we get in the Fall if we live in places where we change the clocks. I feel a mix of optimism and guilt. Here's a whole extra day, not just an extra hour! And I shall likely do what I do on any other day: spend most of it at work. But I'm happy to have a job; I'm happy that it's still mostly manageable. I'm trying not to dread March, which has suddenly gotten to be a more packed month. March will be filled with basic upkeep, like getting our cars serviced, as well as special upkeep--the on-demand hot water heater may be installed this month. Month will be a month of travel, although we won't be travelling together, my spouse and I. On Saturday, I have a training session at one of the colleges where I adjunct, and this week is the last week of class for one of my online classes, and at the end of the month, a different online class ends. My father-in-law and stepmom-in-law arrive Saturday. I don't have any special leap day traditions, no special foods, no music that I only listen to every 4 years, no traditions. I feel like this day sneaks up on me every four years, which is ridiculous, because it's not like this day is unexpected. So, let me enjoy this last day of February. Let the good feelings of this past week-end and this past month linger. Let this early morning pondering will help me infuse this day with a bit of wonder and gratitude for the time that we have, a sense of intention for the time we have left. Today is the birthday of Michel de Montaigne. Many literary historians credit Montaigne with creating and perfecting the art of the personal essay--although many of Montaigne's contemporaries found his digressions distracting. I first started teaching the British Literature Survey class in 1991. I taught British Lit from the beginning to 1789, a dizzying task. I remember talking about Montaigne and the personal essay and seeing blank looks. Students could understand the road from the Mystery plays to Shakespeare to 18th century farces to the movies they loved. They understood how poetry had evolved. But essays? They hadn't really read essays and couldn't be convinced that essays, particularly personal essays, were important. Who cared what one individual guy thought about things? My how life has changed. Now I have many students who want to refuse to read anything that isn't based in fact. They feel that a true story has more validity. They scoff at writers who "just make stuff up," as if it's somehow easier and therefore more dismissible. I used to refuse to read memoirs, just generally, on principle, unless the author had actually done something interesting--and going down into a self-destructive spiral was not how I defined interesting. I loved to read memoirs by writers and collections of interviews with writers and other artists. I still do, but now I'm watching those memoirs unspool in real time by reading their blogs and seeing Facebook posts. I love hearing a poet talk about assembling a manuscript and then hearing that the manuscript will be published. I love seeing those steps: choosing a cover, assembling a book tour, planning individual readings. I have learned so much. It's the same way with theologians and other people who explore spirituality. I like seeing people puzzle out theology tangles. I like watching people solve various issues in their churches. I cannot count the number of good ideas I've adapted, ideas I might never have encountered had I not been noodling across the Internet. I have a similar story with teaching. I discover good ideas by reading less formal writing, like blogs and Facebook posts. I rarely read a whole book of pedagogy these days. In fact, I couldn't name the giants of the field of Composition, not the ones that have come along lately. Part of that is because I've been teaching many years--I have a sense of what will work and what won't. But I'm still open to a good idea from someone else. I don't have as much time to explore all the reasons why a technique works. So, thank you Montaigne. Thank you for thinking that a regular person's insights were important enough to capture, that we didn't have to be a queen or a king to be worthy. Thank you for writing down your thoughts. Thank you for publishing them. Thank you for hacking out the trail that would be traversed by so many important people--and people who may never be important in the ways we usually define history, but are important nonetheless. My sister and nephew are down for a visit--my spouse didn't have to teach yesterday, and my nephew had a half-day school holiday, so as we planned, it was a good week-end for a winter visit. In the past, we've met on Presidents Day week-end, but this year, my school celebrated differently, and Presidents Day week-end also included Valentine's Day. I took the day off, as did my sister. At one point on Thursday evening, I worried that they wouldn't be able to make it down at all. Their plane was delayed and delayed, and I worried that as it got later, the flight might be cancelled altogether. Happily, it was not. --We sat in the sun and read. We forgot to put sunscreen on, but because it was cloudy and because it's February, we didn't get too much of a sunburn. --We made one trip outside of the house to get steaks. And since we were at the grocery store, we picked up all sorts of other things too. --My 9 year old nephew LOVES Shirley Temples. I loved this drink too, when I was a kid. While we were at the grocery store, we got supplies: ginger ale, grenadine, and maraschino cherries. --We ate our steak dinners outside at the picnic table. It was delightful weather, although a bit breezy. --We put on our wetsuits and went in the pool. --We had happy hour on the front porch. Because we had a late lunch, we had cheese and crackers, our happy hour food, for dinner--my favorite dinner. --My spouse gave motorcycle rides around the neighborhood. At first my nephew was a bit scared of the noise. But by the end of the day, he asked for an extra ride. --We ended the day with a fire in the fireplace. We had just the right amount of wood left. --We played SkipBo, which was fun at first, but we were tired by then and ready for bed. Today is my sister's birthday. We'll probably celebrate in much the same way. 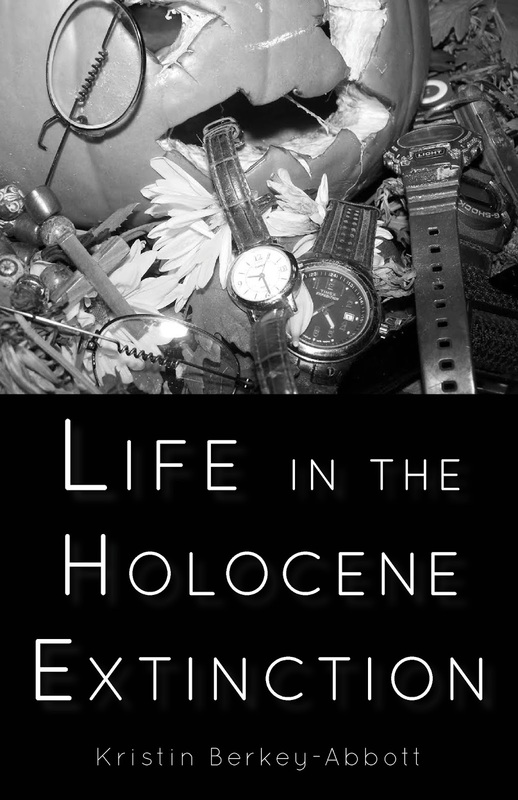 Order Now: "Life in the Holocene Extinction"
This week brings exciting poetry news: my forthcoming chapbook, Life in the Holocene Extinction, is available for pre-publication purchase at the Finishing Line Press website. It will ship June 17, 2016. I love the title of the chapbook, but I do worry that people will think of it as too bleak. What I didn't anticipate: that people might not realize we're in the middle of the 6th mass extinction for our planet, and that some have labeled it the Holocene Extinction. But my collection is not altogether bleak, although it does ask the question: "How shall we continue in our daily life in the middle of a catastrophe, a catastrophe we do not comprehend fully?" food dives and a strip joint. for the next day’s struggles. in the pot that she crafted in a different life. the night watch, willing sleep to come. Go here to order your chapbook now. And it's never too early to think about the holidays--poetry collections make great presents! In the cupboard of your heart? Why not be bold and dare"
This morning, I wanted to write a poem, but I didn't have much time, and I felt even more empty when I tried to come up with ideas for a poem. So I flipped through the Bang text and pulled out 6 lines, leaving space between those lines. Then I went back and created stanzas to go with the lines. When I started, I thought it might be a warm up exercise, something that would lead me to a different poem altogether. Or I thought I might be modernist by removing the scaffolding of the Dante lines when I was done. Or I thought I might have 6 small poems. In the end, I wrote a single poem of six stanzas, with the Dante lines integral to the poem--so I won't be removing them. 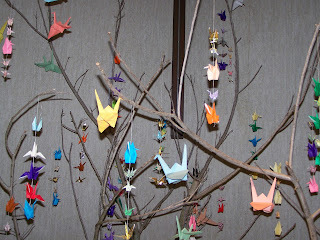 It was a fruitful way to compose a poem. I've had similar success with T. S. Eliot and Coleridge--I should do this more often! Yesterday I decided to take advantage of a strangely quiet afternoon to get a mandatory training done. These are now done by way of a series of slides, followed by a quiz. Yesterday's topic: security issues surrounding information of all sorts. It took over 5 minutes for the PowerPoint slides to load, so I dipped into Mary Jo Bang's translation of Inferno. I continued to read a bit as the narrator for the training session told me about all the different kinds of information I might encounter and how to keep each kind safe. It's information that doesn't change much from year to year, yet we have to do the training each year. The safeguarding of the information seems obvious to me: be aware of copy machines and printers that are in communal places, shred paper that has any kind of identifying information or numbers, lock up what you can't shred, don't give people access to your work computer. It was a circular kind of presentation that mirrored the journey in Inferno. We got a preview, we got information, we got a review, and then we had a quiz. I suspect that reading Inferno will be similar. Yesterday morning, we had this kind of strange Internet outage at work: some web sites never loaded, some were slow to load, and some loaded right away. Some of our Intranet sites worked--some did not. In short, it was hard to do work of any kind. I could get the Broward County public library website to load, so I was able to find out that the Main library had the version of Dante's Inferno that I wanted to read--it's the next book after Hard Times in my self-improvement via reading plan. My partner-in-reading friend has already started. I didn't have any lunch plans, so I took my lunch hour by going to the public library downtown. What a treat! I was surprised to find out how many poets have translated this work. I got 2, one by Robert Pinsky and one by Mary Jo Bang. And then, later in the afternoon, my partner-in-reading friend happened to be on campus. So we made ourselves cups of tea and compared the two versions. I thought I would like the one by Pinsky better than the one by Bang. I had heard how much Pinsky tried to stay true to the terza rima, but it didn't impress me as much as I wanted to be impressed. The rhymes seem to be slant rhymes more than true rhymes. My friend suggested that maybe we need to hear it rather than reading it on the page. She's been reading Inferno by listening to the Pinsky version read by someone who is not Pinsky. She will loan me each CD as she finishes them. It will be interesting to compare these reading experiences. We talked about the works inspired by this text, most notably "The Waste Land." We talked about how religious ideas have made it into our wider culture. My friend said that most of what she knows about Christianity comes from Dante and from Milton. I posited that most of what Christians think they know about their religion comes from Dante and from Milton. My friend talked about taking a class where they read Inferno, fallowed by "Paradise Lost," followed by "The Waste Land." Once I might have turned up my nose at such a traditional approach to epic poetry. Now I like the linking of these poems, the opportunity to trace imagery, a different language to fill my head. My friend and I have agreed that we will not be rereading "Paradise Lost." Will we change our minds? We also talked about later literary circles. We've both been reading The Fellowship, the book about Tolkien and Lewis and the Inklings. She's decided that the Bloomsbury group was better; the anti-female nature of the Inklings has repulsed her, and I understand. The lack of mental health of the Bloomsbury group concerns me and makes it hard for me to embrace them fully. It's wonderful to have a friend with whom I can have these conversations. It's sobering to realize that although I am in academia, there are precious few people who could follow our thoughts--and it's not because we're making such abstract connections. We looked at Canto One; she read the Pinsky translation out loud, and then I read the Bang. I could have done that all afternoon, but we both had early dinner appointments with different friends, so we stopped after several stanzas. I returned home feeling nourished in all sorts of ways. It's enough to make me wish that the Internet would fail a bit more often. I began my Sunday by listening to On Being, as I do most Sundays. Krista Tippett interviewed 2 people who are activists, but of different types. Patrisse Cullors is a founder of the Black Lives Matter movement and Dr. Robert Ross has been doing amazing thinking and work in the field of public health. It was an interesting examination of what it means to be an activist now (to hear it or to read the transcript, go here). Later yesterday, I watched the new documentary on the Black Panthers--activism then. I found it fascinating, but despite it's length, lacking. I wanted more on the formation, on the community building, on the interaction with the other activist groups. But I also realize that a 2 hour documentary can't do everything. It was an interesting way to book-end the day. I much preferred Tippett's deep interview style. But I did love all that footage of the heyday of the Black Panthers. And it was interesting to watch that documentary while I'm working on my own series of short stories about college activists in their early 50's. After watching the documentary, I was able to finish one of those stories. I've been on the cusp of finishing for what feels like weeks now. Last night, I finally plowed through. Was it the documentary? No--it was probably the realization that I've got a lot of student papers coming in this week, so if I want to meet my 2016 goal of a short story a month, I needed to get it finished. A great article on the Black Panthers in The Washington Post is here. NPR's Terry Gross interviewed the director of the documentary, and that interview can be accessed here. Since this poem is so rooted in the news events of the week, I can't resist posting it here. I do wonder if it will have any relevance, beyond historical curiosity, once this election year is far behind us. I think that it will: we will always have bombastic billionaires who want to build walls and the religious people who speak truth to that power, even as they are part of the powerful. to return to his enclave. on locusts and wild honey? old on security of any kind. back the hunger for cheaper labor. what river our final resting place. My school takes its Presidents Day holiday on Friday, so that we don't miss 2 Monday classes--our classes meet only once a week, so I understand the impulse to avoid missing 2 of them. Yesterday was our President's Day holiday. I had a lovely day off, filled with activities I love: spin class, writing, reading, cooking, more writing. The news that Harper Lee died filled me with a bit of sadness, but also with gratitude for her long life. I wrote this on my Facebook feed: "When I am a little old lady, I am certain that I will tell people that Boo Radley lived down the street from my childhood home--my memories of Montgomery, Alabama will have become permanently entwined with my memories of To Kill a Mockingbird, which I first read in 8th grade in that Montgomery childhood home--it could be worse." --The pope's recent comments on bridges and walls and Donald Trump's response led to a poem, which I submitted to Rattle's weekly Poets Respond feature. --Last week, I wrote a poem that was inspired by several poems on the Via Negativa site, which yesterday, I sent to Dave Bonta, who runs the space--and it's now up at that site. Go here to read it. --I went to the library and was able to turn in and check out again The Fellowship, the book about the Inklings. Hurrah for more time to read that book. I also got Days of Rage, about the explosive activism of the 70's. So far, it's not telling me much I didn't already know, but that may be because the first part is about The Weather Underground, which is covering the same ground as the documentary that came out in 2002. And even before that, I had some college classes that covered this information, and my fiction reading has also been informative through the decades. Still, it's an interesting book. --I also read another chapter of The Fellowship. --I made a pot of chili--by the time it was time for dinner, I wasn't much interested, but I do like having a pot of something bubbling away in the kitchen while I work at the computer or read. --In the afternoon, I returned to my writing desk. I wrote the next installment in the Purgatory Project: God as administrator. It answers the question about how we came to have so many religious books with rules handed down by God. God assures us that the words weren't captured correctly: "What human amongst you hasn’t experienced the same thing? You craft an e-mail, and you spend lots of time in revising and clarifying before you send it out. And what happens? People see all sorts of meanings that you didn’t intend. And then you send out more clarifications and the meaning gets more twisted, and eventually you move on to other issues." --But here's my favorite part of that writing in the voice of God: "My other creatures don’t seem to have this trouble. Spiders don’t spin webs hoping to gain entrance into heaven by their good behavior or by some set of rules that they imagine I’ve handed down about spiderwebs. They spin webs because it brings them joy—and gives them a way to provide for themselves. Some spiders take all sorts of creative liberties, and some take the quickest route." --And then it was time to go get my friend from the airport--the traffic these days is astonishingly heavy. I remember in the worst days of the 2008 crash and the years that followed, where the streets were strangely empty and the houses abandoned. While I don't want to go back to those hard times, I did relish the reduced traffic. --We watched one of the first episodes of M*A*S*H--it's a hard show to like in the early days, when the men are much more sexist. And then we watched a BBC production about eugenics and social Darwinism, as my spouse prepares his Philosophy classes for next week. Not a great way to end the day. I've had several restless nights because of TV viewing--Wednesday night's American Crime may just end up being too tough to watch on its broadcast night, right before I try to fall asleep. All in all, it was a great day--very nourishing in all sorts of ways. This political season just keeps giving me gifts--and anxiety, but let's focus on the gifts. I was fascinated yesterday to hear the pope's recent comments on whether Christians are more likely to build bridges or walls, to see how the media reports his comments, and to hear the responses. "'A person who thinks only about building walls, wherever they may be, and not building bridges, is not Christian. This is not in the Gospel,' the pope said, according to the Catholic News Agency." As an English major, I understand what he's trying to say. But I also suspect he was not speaking as an English major. He was not speaking symbolically. No, he was making a political statement, about the world's poor and the world's wealthy. And clearly, he was making a judgment about the politicians who want to build these walls. The pope occupies an interesting place: he's both a prophet, in the traditional sense, speaking truth to the powerful. But he's also one of the powerful. His words move across the world in a way that the words of a modern Micah or Nehemiah or John the Baptist would not. I was also interested in the response--the bluster of Donald Trump, the idea that ISIS sees the Vatican as its ultimate goal. The idea of Muslim fundamentalists launching an attack on a walled city in Europe makes my jaw drop--but 15 years ago, my jaw was dropping at the actions of a different set of Muslim fundamentalists. The times we live in remind me daily not to dismiss any possibility. I think of all the classes I might teach where the rhetoric of both men might be interesting to parse. And it's fascinating to see the coverage. The pope did not name Donald Trump, but it seems clear that he was talking about Trump's comments. But perhaps the pope was acting in that time-honored tradition of taking a sound bite and using it as a larger teaching moment. I am not in any classroom where I'm creating curriculum, so I will not be using this material as a teaching moment. But I'm having fun using the politics of the day in my Purgatory project, and perhaps I'll create a Jesus in the world poem that deals with all of it. Hmmm. Today I have the day off--my school celebrates Presidents Day today, instead of Monday, so that we don't lose 2 Mondays of teaching time. Maybe I'll write a poem out of this and get it to Rattle's weekly Poets Respond feature. I'd have to do it by midnight tonight. Let me go to spin class and see what my various consciousnesses spin out of this material. My writing project that is bringing me the most joy is a surprise to me. I'm going to call this work the purgatory project going forward. Some background: Back in December, my atheist writer quilter friend had written an amusing piece of fiction in which she imagines she's come to consciousness in purgatory. At our December quilt group meeting, we had a rousing discussion about our different beliefs about what happens when we die. My atheist friend does not believe in an afterlife. And yet she wrote a piece about purgatory, which she imagines as a place of endless shoe shopping, which she hates, and having to make small talk with people she despises. The next morning, I wrote what is probably one of my most favorite things I wrote last year. My friend wrote from her point of view; I wrote from the point of view of God who was dealing with my friend's wrong perceptions of where she was and what she needed to do next. It was an interesting exercise, exploring theology by way of fiction. I know that some would be shocked that I presumed to talk in the voice of God, but happily, my religious tradition does not forbid it. On Tuesday, I wrote another installment, one which imagines God as welcoming all to the table to discuss politics: Hitler, Dorothy Day, my atheist friend, and Marx. Buddha and Mohammed are there too, and they're all watching the political debates, the way we might watch TV. "I pour us all tea, the only antidote for this campaign season. I set out the dainty sandwiches and the butter cookies. I could answer some of these questions, but I know that the joy comes from the arguing, not the settling of the existential issues." I sent the piece to my quilting group, and my atheist friend and I had a rousing conversation over Tuesday lunch. Then my friend wrote another piece and wove our stories together. Our Hindu writer quilter friend has also written a purgatory piece, although her faith doesn't have purgatory--well, neither does my Lutheran faith for that matter, and my friend's atheism would preclude purgatory too. Yesterday, I had an interesting discussion with my Hindu friend who wonders if we're not all writing thinly disguised autobiography. She has noticed that our atheist friend's purgatory is remarkably similar to her present life. I said, "But the part about having to stay at parties with make-believe drinks making small talks with people she doesn't like. In present life, we can leave those parties. In her purgatory story, she can't leave." My friend gave me the arched eyebrow, and I suddenly realized my error--sure, we can leave the boring obligations, but we're still not released from having to go. And thus, the seeds for the next piece. I will also weave my vision of God as administrator. We think that God has much in the way of power, like we do the President of the U.S. or our boss--but many of us, as we get older, realize how much that happens is simply not in the control of anyone. So why would we think God would be immune from that dynamic? Yes, I know all the reasons why we want to believe in an omnipotent and omniscient God. Most days, I don't believe in that view of God, that magician who can speak a word and change the universe God. And by writing these pieces for the purgatory project, I can explore and have an interesting conversation with my friends who have such diverse beliefs. Last night, I went with an Art Appreciation class on a field trip to the Girl's Club art gallery. Long time readers of this blog know that I go there periodically. Last night, a For Sale sign greeted us. Four or five years ago, I got to the area early and drove around to kill time. I remember thinking, I should buy one of these blighted properties. At some point, this neighborhood near the federal courthouse in downtown Ft. Lauderdale is really going to take off. But downtown Ft. Lauderdale lacks the inner city-ness of other big cities. There are homeless people, but for the most part, after dark, the downtown feels rather abandoned. I can walk the streets without feeling much danger. Of course, there's not much to do, not a vibrant nightlife. It's still a city where realistically one needs a car. Still, there are transformations happening now. And if I was going to buy a blighted property, that time has passed. Many of those properties have been torn down for condo projects. I certainly can't afford the gallery/studio space that is Girl's Club--I'm guessing the asking price will be over a million. Maybe the asking price will keep buyers away. After all, most artists can't afford that price. And if I'm not an artist, what's my vision for the property? It's not big enough for a condo project. It would take a lot of money, I think, to turn it into a bar or restaurant. The show last night inspired me, as the exhibits at Girl's Club always does. I loved having the chance to see the work of Carrie Mae Weems. But the piece that most inspired me was the collage artist who over 40 years created a work every day that included trash that he found around his New York City neighborhood. I wondered where he kept them all. That's my basic problem with most visual art as a creator--well, storage space and finding time. Speaking of time, my time runs short. Let me get ready to go to spin class and then to my day job which pays for the upkeep which means I have time and space for creative dreams. Last night I sat down to read more of The Fellowship: the Literary Lives of the Inklings by Carol Zaleski and Philip Zaleski. It's about the literary and spiritual lives of C. S. Lewis and J. R. R. Tolkien and their circles. I am still in the early part of the book, so as I read about their college days, I felt a bit of nostalgia and a bit of sadness for times long gone--both theirs and mine. I was listening to an old Windham Hill disc, Sanctuary, so I was also feeling nostalgia for a time in 1996 when this CD came into my life. Even in 1996, the experience of listening to this music was a throwback to undergraduate days. I used to go home on college breaks and tape my dad's latest finds. On days when it poured rain and thus I couldn't go out and run my 6 miles, I would brew a pot of tea, listen to the acoustic music, and write a bit and read a bit. By 1995, I had quit most of my poetry writing--grad school had left me with an inferiority complex. But in 1995, as my spouse went back to grad school which ushered in many changes to our lives, I found myself wanting to write poetry again. And bit by bit, I found my poetic voice again. So, last night, as I sat in my little house in a historic district by a distant sea, I looked up periodically to reflect on these wrinkles in time. I thought of all of the literary circles which have so influenced our cultures. I thought of my own literary circles--how different they are from the Lake District group, the Bloomsbury group, the Inklings--and yet, how much the same. One of my current groups is writing--well, I'm not sure what to call it. I wrote about it in this blog post and this one--my atheist friend dreams of purgatory and the rest of us are writing in response. I'm writing in the voice of God, but it's a very different God than the one that most of us would expect. In some ways, I'm reminded of The Screwtape Letters by Lewis, but of course, I'm not writing in the voice of Satan. But it feels equally subversive, a God who is preparing tea for Marx and Hitler and Dorothy Day who are discussing our current political season. I'll be interested, too, in any of the other ways that reading about the literary output of these writers might influence me. Will I end up writing fairy stories? I find it curious that I can read this book and feel absolutely no desire to read the works of these writers. I have a fondness for some of the theology of Lewis, and I spent my childhood years devouring the Narnia series. I read The Hobbit, and although I enjoyed it, I couldn't make my way through any other Tolkien work. When I read Paul Elie's The Life You Save May Be Your Own, I immediately went back to Flannery O'Connor (who, truth be told is never far from my thoughts) and Thomas Merton. I wanted to read Dorothy Day and Walker Percy. It was a different experience from The Fellowship. I am feeling inordinately proud of myself for setting out with such a long book, even though I'm not on a vacation of any type. It's good to remember that I can do this--that although I think I need a huge swath of time to read a book that's over 300 pages, to read something with heavier content than light fiction, it's not true. I just need the will. In the past week, I finished reading Hard Times, but I also read my first book by Haruki Murakami. It may be the first book by a living Japanese author I've ever read. Can that be? My reading of international authors is a weak spot. I tend to keep my reading to authors from the U.S., Britain, and the occasional Canadian. I feel some guilt about that. I'm woefully weak when it comes to reading Japanese authors. But I've decided to remedy that, in part because of this blog post that extols the writing of Haruki Murakami, especially IQ84. I thought I might read that book, but oh my goodness, it's long. So I checked some shorter volumes out of the library. I read What I Talk about when I Talk about Running which was mildly interesting in terms of discussing the running. But as a woman who started running in my teenage years, he didn't really tell me much about running that I don't already know. Far more interesting: the insights about writing and how writing a novel is akin to long distance running. Again, not much I hadn't already considered, but interesting to see it from his view. I was especially interested in how he structures his time. He and his wife go to bed early. He's more interested in writing than in socializing: "I placed the highest priority on the sort of life that lets me focus on writing, not associating with all the people around me. I felt that the indispensable relationship I should build in my life was not with a specific person, but with an unspecified number of readers." Last week, I also heard about some poets from the middle east who are making even harder choices. Most of us don't face death when we write, but I heard of one poet who was executed. I heard of a Saudi Arabian poet who was sentenced to death but had his sentence commuted to 8 years--and 800 lashes, which of course he won't survive if they are all administered at once. I thought of all my poems--there's not a one for which I'd be willing to endure 800 lashes. My spouse says that maybe I should start writing more important poems. But that was not the point I was making. I was talking about the psychology that punishment by the state has on us all. Happily, I do not live in Saudi Arabia. But I do worry about restrictions on freedom of speech, in these times when everyone seems so terrified of such a wide variety of threats. Last night I went to the grocery store. The flowers were right there just beyond the entrance, followed by a huge display of chocolates, and just beyond them, the bakery with every heart shaped confection you could want. I thought, what am I doing, coming to the grocery store on the night before Valentine's Day? But we wanted firewood, and so there I was. When I got home, my spouse asked, "Was it any more busy than a normal Saturday night?" I had to confess that I didn't know, as I try to avoid grocery shopping on a Saturday evening. But there were more cashiers, and I didn't have to wait in line, and so maybe I should change my approach. As I was driving to the grocery store, the news of the death of Supreme Court Justice Scalia broke. Our interesting political times have just gotten more interesting. Will Obama be able to shepherd a nomination through? Will this remind people of the importance of the president and affect the election? I'm not sure I've been alive when a sitting Supreme Court justice has died--and halfway through the Supreme Court session. What happens to cases that were going to be heard between now and June? For answers to the questions of what happens to a court with only 8 members, this post answered a lot of them. As I walked through the grocery store, I took note of the items in people's carts. I usually do. I noticed more flowers. I thought of the statistics from this blog post: "1 out of 12 roses we buy in the U.S. for Valentine’s Day are likely cut by a child in Ecuador or another employee (most likely a woman) who is extremely underpaid and required to work sometimes up to 20 hours a day." I bought some fair trade chocolate, so that I don't support this industry: "70-75% of the world’s chocolate comes from cocoa beans harvested in West Africa, where almost 2 million children work under violent and hazardous conditions. Many of these children are kidnapped or sold (some as young as 7 years old) and forced into such labor." And I wasn't even near a jewelry store. There's the slavery aspect of precious gems and metals, and then there's the expense. 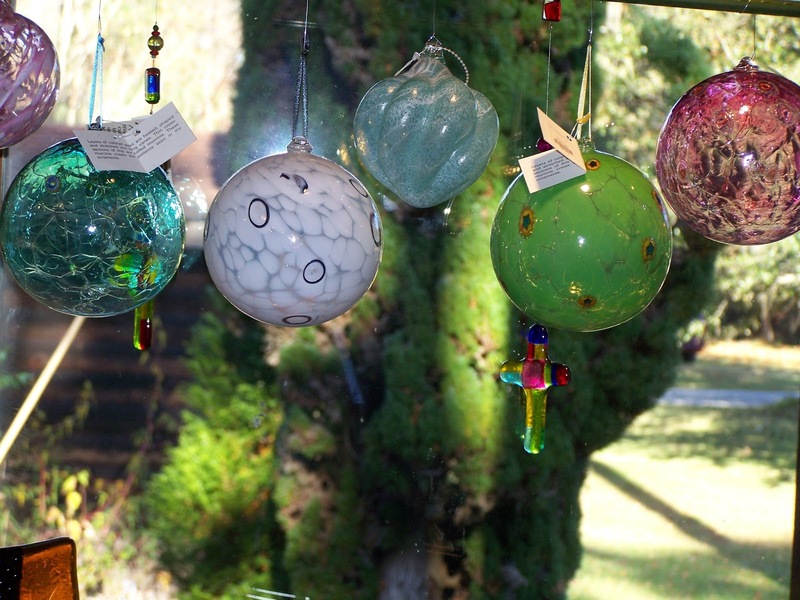 Call me unromantic, but if you want to show me you love me, don't spend thousands on a bauble. Go ahead and pay down the mortgage. It may not seem romantic on its face, but what could be more romantic than ensuring that I have a roof over my head and a door that locks. I always love creating my own love messages--why pay for a card? What other creative ways could we celebrate this day, ways that don't support injustice? This blog post has many suggestions. Here's my favorite: "You've got the art forms that you love already. Today, try a different creative medium, technique, or tool. If you always quilt in small patterns, make a crazy quilt. If you write short poems, write a poem that's at least 200 lines. If you write in one genre, try something else. If you paint, try sculpting something. On and on I could go." This post that mashes Valentine's imagery with theologians both amused me and inspired me this week. Here's hoping we take a time-out for love and creativity before we return to the ugliness of a political season, a political season that will turn uglier with the death of Justice Scalia. In our alternate Saturday, we'd have been getting ready to go on a motorcycle ride today. There's a group headed over to Everglades City for a seafood festival. We'd have left to get to the meet-up point, then there would have been a 2 hour ride across the state, then a few hours in Everglades City, then 3 hours to get back home. In short, it would have killed much of the day. It's the kind of outing that seems wonderful when considering it during the lazy days of Christmas vacation. But as the time approached, I felt misgivings. My spouse and I both feel that we've spent much of the last few weeks in the car, driving and driving and driving. The thought of that long trip made us even more tired than we were feeling last night as we sat on our front porch discussing the week-end's possibilities. It would also have been cold. It's 55 degrees out there right now--I can't put on enough layers to feel warm on the bike when it gets this cold. So, we decided not to go on the big ride. We may take the bikes out later today, or we may go for a shorter ride tomorrow afternoon, or both. It feels like a gift of a day--I resolve not to waste it. I've already sent out two short stories and written a poem. We will do some work in the yard. There's cooking to do: turkey and dumplings, and maybe homemade pizza. This evening, maybe we can sit on the porch as the light shifts towards sunset. --I should be done with Hard Times by now. It's one of the shortest books that Dickens wrote. But I feel such a sense of foreboding when I pick it up. --I did read it the Wednesday night when I was having trouble sleeping because of my pre-bedtime TV watching: American Crime followed by a few minutes of the local news. --It's fascinating to be reading Hard Times in this current election year. It gives me a kind of bleak comfort to realize how long the middle classes have been under assault, how long the downward slide in education has been--and then there's the real comfort to think about the resilience of humanity. We've gone through the grimness of the Industrial Revolution--we can get through our current hard times too. --The complete title of the book: Hard Times: for These Times. Indeed. --Of course, not all the news about our state of education is bad. I'm thinking of yesterday's big announcement that we now have proof of Einstein's theory of relativity. This blog post was an interesting look back at how we managed to perceive these black holes colliding. --I loved this part: "But now, we are told, we can finally see gravitational waves directly. This is like someone who is blind to the color red — and all things red — suddenly waking up to a world with apples and roses and Valentine's Day cards. This would mean that, using LIGO as a gravitational wave telescope, we've just opened up an entirely new window on a universe of black holes, neutron stars and, perhaps, even the Big Bang itself." --It reminded me of this blog post which talks about how as sentient humans, we may be more alone in the universe than we know: "Life should exist elsewhere but, if it does, the probability is that it will be simple, some kind of alien bacteria. Intelligent aliens may be out there in Earth-like planets, or in more exotic environments, but if they are, they are very far away. For all practical purposes, we are alone as intelligent molecular machines capable of pondering our origins and future." --But that's not a reason for despair: "This is the striking revelation from modern science, one that should grab everyone's attention. We matter because we are rare and our planet matters because it is unique. At the very least, it should inspire us to re-evaluate our relationship to one another and to the planet, beyond petty ideologies and short-sighted tribal disputes that fill so much of our time." --A good reminder, in this political election year that looks to be long and likely will get uglier. On Monday night, I had such plans. My spouse would be out late teaching his Philosophy class. I wanted to make some headway with the short story I'd been writing and maybe do some grading. But the story stalled, and I felt grouchy--I try not to grade when I'm grouchy. I thought I might just go to bed early, but then the phone rang, and I couldn't fall back asleep. There was nothing good on TV. As often, I got myself back into a good mood by reading. I picked up The Fellowship: the Literary Lives of the Inklings by Carol Zaleski and Philip Zaleski. This book explores both the artistic and spiritual lives of C.S. Lewis, J. R. R. Tolkien, and the literary circle that they formed in Oxford in the earlier part of the 20th century. Based on the 50 pages that I read Monday evening, this book will be a treat. I went to my computer to check on e-mail, and I read a friend's Facebook post that noted the anniversary of John Carpenter’s “The Fog,” with its plot of ghosts of shipwrecked lepers and Dave Bonta's description of construction cranes around London, and I came up with the poem that you can find here and pasted below. But let me also post some background and pictures that will give present readers (and future scholars?) some insight into my writing process. The parking lot of my school is now a building site. It began with the parking garage that we now use. It was fascinating to see the way that buildings are created now, with huge slabs of concrete that are shaped elsewhere and trucked to the site. Huge cranes, guided by humans, hoist the slabs into place, and thus, the walls come into being. Last night as I left that parking garage for Ash Wednesday service, I caught sight of the sunset to the west. I took a few minutes to capture some pictures. It seemed a perfect metaphor for Ash Wednesday: a parking lot becomes a building, and we all know that the buildings that were here 10-20 years ago have vanished for many of these new buildings. 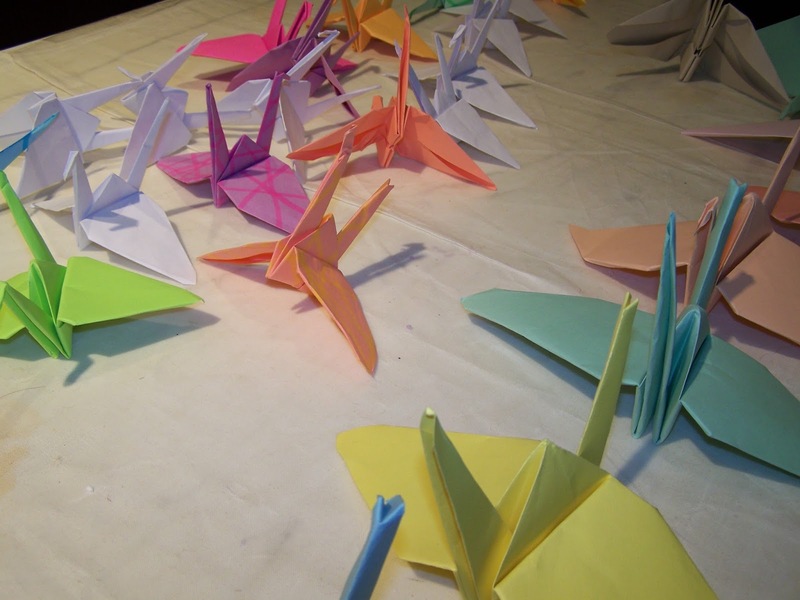 As I was writing the poem, I thought of those paper cranes that are a peace symbol. I thought of our church a few years ago, with its dramatic Lenten chancel. I had these cranes on the brain too, as I wrote the poem below. I like how the poem holds the tension of Ash Wednesday and Mardi Gras, of dust and resurrection within its lines, but doesn't resolve it. the concrete slabs across a nation. piece made of stripped branches. device that no one will need or notice. The universe is built on this forming and reforming of matter and energy. The universe is inside each of us, and we carry with us the history of the stars and the universe. Here we are at the day before Ash Wednesday. Do you know this day as Mardi Gras or Shrove Tuesday? Or does it register at all? Many of our Mardi Gras and Shrove Tuesday traditions come out of the need to use up the excess. In medieval times, most Christians would give up all sorts of luxury items for Lent, luxury items like milk, eggs, and alcohol. 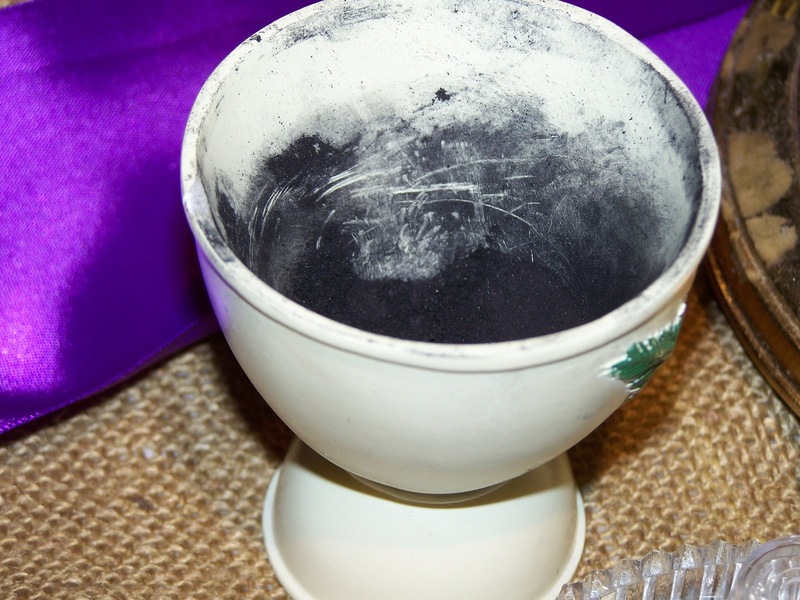 So just before Lent came the using up of the luxury items--because you wouldn't just throw them away. Hence the special Mardi Gras breads and Shrove Tuesday pancakes, and the drinking. Once, in 2002 or 2001, I made myself pancakes on Shrove Tuesday, but it wasn't the same, eating them in my chilly kitchen, all by myself. But from that experience has come at least one poem. I remember some failed attempts through the years before I wrote a poem that I felt really good about. a clove, a bean, a scrap of cloth. we will not have that kind of luck." In the past, I've made special bread; if you have time, this blog post will walk you through the process. When I first started writing my Shrove Tuesday poems, I didn't have the cookbook (Beatrice Ojakangas’ The Great Holiday Baking Book) which gave me the recipe and the background of the bread. when we achieve the final resurrection." I won't paste the whole thing here, because I want to get it published, if possible, and many journals still consider a blog to be publication. As I'm writing, I'm baking bread. Well, it's not baking yet, but it's rising. It feels good to put the dough together. It feels good to make a week day special. My friend went to see Patch Adams the other day--he counseled to be sure to do at least one thing each day that brings you joy. Baking brings her joy, so she's doing more of it. On Sunday, before our quilt group, we baked together. We used to bake and quilt weekly, but our lives don't allow that anymore. In some ways, it's that much more special when we bake together now. Of course, in some ways, it's more lonely when we bake in our separate kitchens--very similar to my Shrove Tuesday blues. It's an interesting thing to ponder, in this time of mid-life, how many of our joys are tinged with sadness as we compare them to the past times or think about people no longer present. Ah, the wisdom of the Buddhist, who would encourage us to focus on the present moment, not to let the present joys be tinged by sadness. I'm guessing that learning process will be one that I will need to attend to for the rest of my days. Today is the Chinese New Year, and it will be the year of the Fire Monkey. The Chinese New Year is a time of cleaning, of sweeping out, of restoring order. The year of the Fire Monkey is often seen as a time of completion, and it has the potential to be a time of prosperity. But fire years, while giving warmth, can also be times of aggression, restlessness, and impulsive behavior. This site tells us, "Anything and everything that is no longer serving your highest and best interest (aka, your soul) has to go. It is time to end any thoughts, habits, beliefs, people, places, or things that are no longer worthy of moving forward with you into the new." The author then goes on to suggest lots of cleaning out of clutter. Always a good suggestion. We are in a time of all sorts of transition. This week will see us celebrate Mardi Gras and finish our Carnival celebrations as we move to Ash Wednesday. 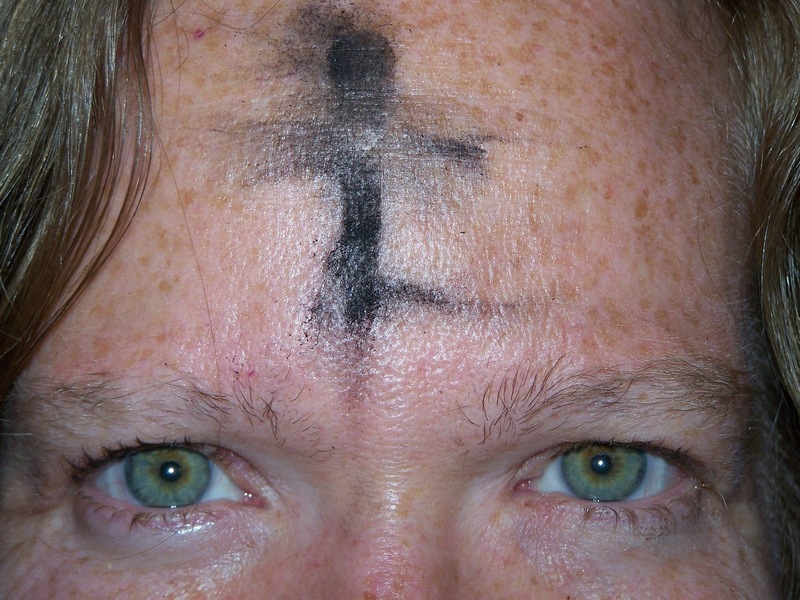 Ash Wednesday begins the season of Lent, which is one of the somber church seasons, a time of introspection and penitence. Many Christians will give up something for Lent, often something we should have been giving up all along. 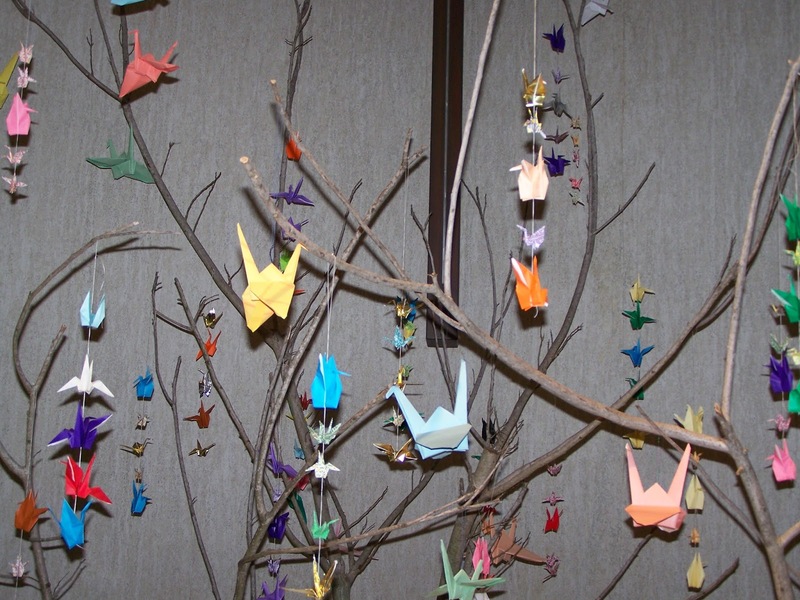 A more recent tradition is to add something for Lent: more devotional reading or a creative practice (for more suggestions, see this blog post on my theology blog). I plan to do more coloring. 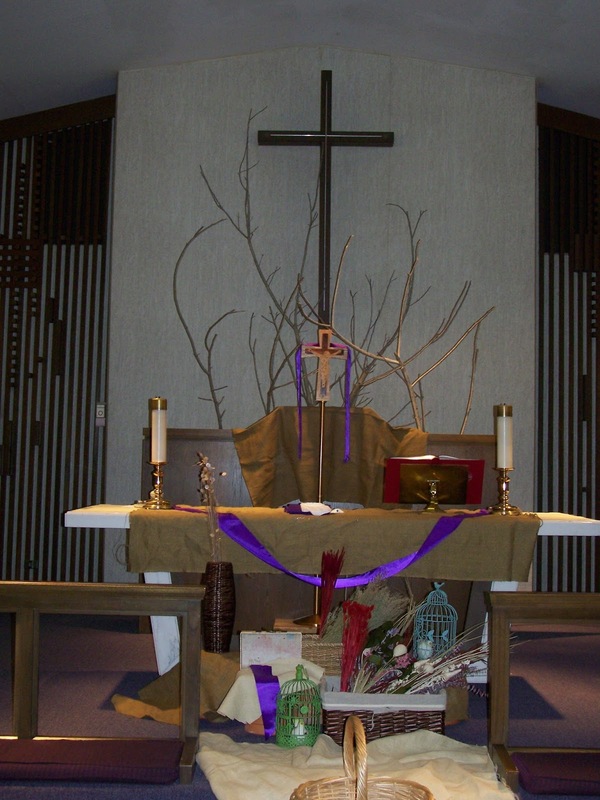 I like the resources on this site, the way it suggests we color a shape for each day of Lent. That will be my Lenten discipline this year, along with my daily reading of Henri Nouwen's Show Me the Way: Readings for Each Day of Lent. For those of us who have fallen away from our New Year's resolutions, this week would be a good time to reassess. Did we let go of them because they weren't serving us well? Or do we want to try again. Time moves relentlessly, and we're only here for a very short bit. How do we want to use these precious days? --Last night we went to one of those places that has every kind of beer you could want, and they display every bottle on the wall. I thought I'd streamline the process a bit and asked for a chocolate kind of beer. The guy said, "Oh, you just missed those by 2 days." I thought he was kidding, but he wasn't. So I got a mocha stout instead. --But then I thought more about his statement. Can there really be a chocolate season? I realize that if I had a yearning for a pumpkin beer, I'd be out of luck. But chocolate? That seems year round and universal. --For some reason, I've been thinking about the hot cocoa mix that my mother made every autumn as the weather started to change. Strange to think about the days before you could buy little packets at the grocery store. --I used to mix up a batch too, all through grad school. But now it's easy to make hot cocoa in the microwave. --I can hear the wind howling today. We are forecast to have winds of 19 mph, which means there will be even higher gusts. It will be a great day for hot drinks. --If you want to be economical and make your own powdered cocoa mix, here's the recipe, in sizes from the 1970's: 8 qt. powdered milk (it's powdered, so the quart size baffles me--it's the smallish box), 1 pound box Nestle Quik, 1 pound powdered sugar, 6 oz. creamer (or as my recipe calls it, powdered cream). Mix it all together. --What I can't remember: how much mix to how much water. I feel like we used 1/4 cup of mix to a regular size of mug of water. --I wonder if there's a way to health up the recipe a bit. The Nestle Quik would have even more sugar. Can one use cocoa powder? --My quilt group comes over today. We recognize no end to chocolate season. We will be having a flourless chocolate cake. If anyone wants to bake along, the recipe is here. The last few weeks have seen many important musicians head off to that great jam session in the sky. A few weeks ago, the death of David Bowie took us all by surprise. Then it was the death of Glenn Frey of the Eagles. And this week, the death of Maurice White, of Earth, Wind, and Fire. I remember those first Earth, Wind, and Fire albums that I got, the amazing cover art that seemed to promise revelations from ancient cultures. Like the band Chicago, Earth, Wind, and Fire was a HUGE band, with all sorts of instruments, and somehow, it all came together. And it was the 1970's, when music didn't seem so compartmentalized, a time when white kids could dance to Earth, Wind, and Fire along with black kids. Yes, I have romanticized the music of my youth quite a bit, but this essay makes it clear how groundbreaking Earth, Wind, and Fire was. I particularly treasure this quote: "In the 21st Century, the pop culture landscape has become increasingly defined by Tarantino-inspired brutalism as evidenced by the way cinematic vengeance fantasies like The Revenant take home major film prizes. In that context, EWF's inextinguishable positivity vibe might today seem passé. But even in its mid-'70s heyday, EWF's music served a powerful social purpose. White concocted music that meant to shield us from a world constantly threatening to harden us and turn our hearts cold — a post-civil rights America defined by the Nixon administration's terror tactics against anti-establishment activists, by the devastating influx of heroin in inner cities and by the ugliness of organized white resistance to busing." I think about my younger self, listening to Earth, Wind, and Fire albums, and then songs on albums by the Eagles, and scribbling in my notebook, and some of those plotlines are taken directly from song lyrics. If I'd had a writing teacher to tell me to write what I know, I'd have pointed out that my life was boring. I wanted to write about people who stayed out all night dancing and dabbling with alternative life styles that I didn't remotely understand as a white girl in the suburbs. I listened to David Bowie on the radio (I wouldn't buy my first Bowie album until college) and wrote about strange characters on other planets and strange characters in a burned out inner city. The 1970's was also a time, as I have written before, when radio wasn't as compartmentalized. I could listen to our local station and hear songs by all of these artists in the same hour, along with old Beatles songs and a country song here and there--on and on I could go, but you get the idea. My writing in those middle school and high school years was also influenced by my reading: science fiction like Arthur C. Clarke and Ray Bradbury, and women who weren't then seen as canonical like Flannery O'Connor and Carson McCullers. 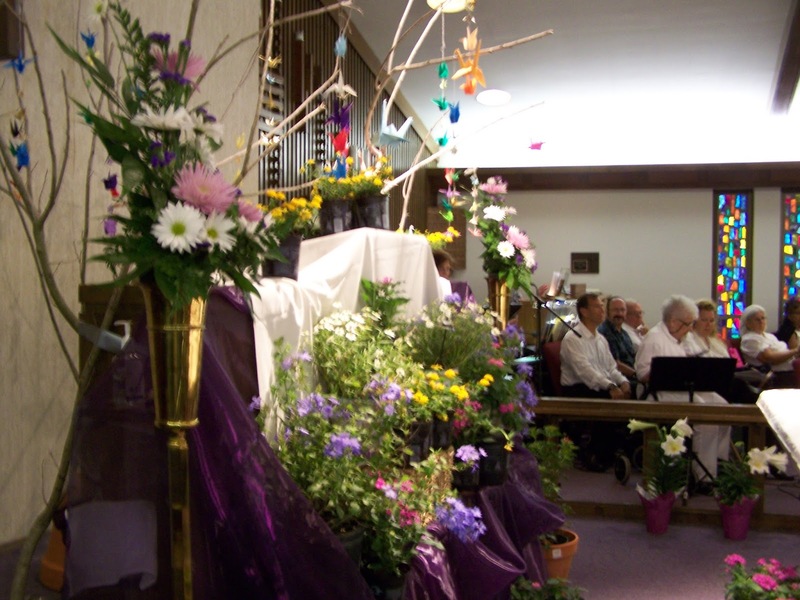 I wrote about religious scenes I would never experience as a mainstream Lutheran. I have a vague memory of writing a story about a young person who returns to the scene of his full-immersion baptism, who lets the river sweep him away as the full moon beams down like a communion wafer. I have to wonder if I actually wrote that or if I read it somewhere and then appropriated it. 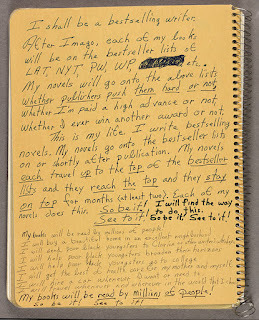 I'm also wondering if I'm remembering those notebooks correctly--I haven't seen that writing in almost 40 years. I also may be getting the stories I wrote in my college years confused with earlier writing. But I digress. Back to the cluster of deaths of great musicians. I realize that I'm on the alert for these stories. I realize that these are artists who meant something crucial to me, at formative times, which is why I feel so pierced by their passings. I realize that I'm sad about the loss of creative output that only they could produce. And let me be honest: with each death, I do the math. Once I read biographies to see when artists had published their first work, and I would either comfort myself or berate myself with that information--was I on track or had I lost the race already? Now I make a different calculation: how old at death? How old am I? How many years do I have left? It's time to do the important work. As a bird sleeping in the nest of night,"
We then had an interesting discussion about how we view the soul: as a bird in a nest? Does the soul exist. The teacher called on me, saying, "We have a poet in the room. Kristin, how do you see the soul?" Oh, the pressure! So I answered honestly. I said, "I see the soul as being somewhat trapped by the body, which will break down in all sorts of ways." We talked about the body as a sort of cage, and I hastened to say that I wasn't really comfortable with the theology behind it. I wanted to make a speech about the dangers of Gnosticism, but that would have required hijacking the whole class. I also wanted to talk about the dangers of dualism, about the new philosophies of the mind, about all sorts of stuff that would have been tangentially relevant, but not particularly helpful to the interpretation of the poem. In the end, I reminded myself that I was in the room to observe, not to take over. And I was glad that I practiced the spiritual discipline of being quiet. It was great to listen to the students have a spirited (soulful? how many puns could I make?) discussion about the soul, about the ways we live a good life or recover from our mistakes--and I was interested that no one really mentioned God in a traditional way. I could tell that the students who spoke had some sort of spiritual life--or at least, a yearning or two that had been acknowledged. I couldn't tell you much about their specific beliefs or practices. I admired the way that the teacher wove the conversation back to the line by line analysis of the poem. I was happy that most of the students stayed with her. But more than that, I was thrilled to see that students are still thinking about spiritual and philosophical questions, like "What is the nature of a soul?" In a way, I hate doing classroom observations. I feel like I'm invasive, and I worry that my presence will change the dynamic. It takes time to do them: the planning, the observation, and the write up. But I always remember an encounter I had with a colleague after I did her observation, the first of many that I would do. She mentioned our former chair who had never done an observation and how hurtful that had been--she had interpreted the lack of observations as a lack of interest. I, who had been a faculty member at the same time, had been relieved never to have an observation. It was a good lesson for me, and I frequently remind myself that we're not all the same. It's also good for me to go into classrooms to be reminded of the good work that we're doing in our school. I often know more than I want to know about the wide variety of problems that pop up in any given day/week/month/year. It's good to remember that most students are good and hard working. It's good to remember that faculty want to guide them towards a better future than those students likely would have had without higher education. Yesterday I had the kind of soul nourishing conversation with a colleague friend that I so crave and cherish. We are reading Hard Times together, and we talked about our fear of being those characters--who would want to be Mrs. Grandgrind or Bounderby? Or any of those characters? We then talked about Wuthering Heights which character in that book we'd like to be. My friend voted for the servant, who knows everything. I said I hated them all. We then discussed my theory that the world can be divided between Wuthering Heights people and Jane Eyre people. I am solidly in the Jane Eyre camp--give me solid sturdiness any day, over the characters in Wuthering Heights who run away with the man who murders their puppy. We agreed that a man who hangs your puppy is giving you clear warning of what lies ahead (for more thoughts along these lines, see this blog post). Our discussion then meandered to Shakespeare and our favorite plays. I would have said that my favorite was Macbeth, but I was startled to realize how long it had been since I've actually read the play. Once I would have said that King Lear was my favorite, but now it terrifies me, that portrait of aging and the descent into madness on a rain-driven cragginess of earth. My friend tried to console me by reminding me that I would never divide the kingdom. We then laughed at imagining our department at work as a kingdom that no one would conspire to control. The kingdom of paperwork and e-mails--perhaps I'll write a poem at some point. This morning I wrote a poem based on these lines from yesterday's blog post: "But the process of sending work out into the world is a kind of light seeking too. Let my poems find a good home, where they will reflect the light of the creative work around them, where they will then go out in larger groups to bring light to readers." I wrote a poem using images from the early church, the poems as the early apostles sent out into the world. But I digress. Yesterday's conversation over tea delighted me in many ways, but I particularly loved to feel the literary analysis part of my brain firing again. Then it was off to do 2 faculty observations and then home much later than usual. I decided to keep the critical faculties firing, and so I finished Maggie Nelson's The Argonauts. I first wrote about this book in this blog post--I am happy to report that she does talk more openly about her spouse's gender transformations. The book continued to inspire me to think about topics that don't normally occupy a large space in my brain anymore--at least not on a daily basis. Once I did a lot more thinking about gender as a spectrum, about what's heteronormative and homonormative (although I wouldn't have used those terms), about how we can use our art to illuminate these issues. This book was a bit like visiting my 30 year old self--it was both wonderful and sadness inducing. I thought of friends who have been lost--both to death and household moves. I thought of the critics I no longer read. I thought of my daily work, which now involves much more constraints than it once did. And yet, there are the consolations too, as Wordsworth told me long ago in "Tintern Abbey"--the consolations of having survived that turbulence of youth, the consolations of finding others who have rooted themselves in the same texts, the consolations of good conversations and a cup of tea. Sending out query packets to agents is a bit like applying for jobs. I usually hear nothing back, which I assume means no interest, but it does occur to me to wonder if my materials got there at all. Yesterday, I got an honest to God rejection e-mail from an agent. I just sent the query on Saturday. For a minute, before I clicked to open the e-mail, I let myself imagine that the agent was so enthusiastic that she had to respond right away. I think of my own experiences of receiving resumes and queries--so many seekers, so few positions for us all. And so many resumes/CVs/letters that seem to be applying for a job other than those I have to offer. But let me not get headed down that spiral of negativity. Let me remember that some of my favorite journals, the ones that have published me before, are now open for submissions. It's been a hectic week in terms of work--lots of initiatives unveiled, initiatives that make me despair, as I don't have adequate staffing and won't have adequate staffing. It's taken some time and some energy that other work weeks don't require. Let me carve out some time in the next 48 hours to make some submissions to literary journals that might say yes to my work. Let me take some steps towards the future that I want to have. 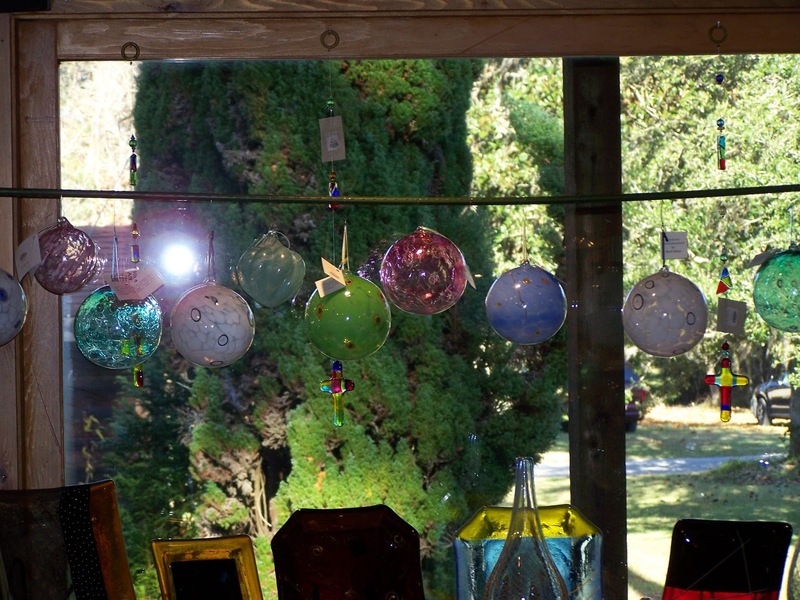 It's a bit like hanging glass baubles in the window to attract the light. The baubles (the poems and other submissions) delight me as works of art. That in itself would be enough. But the process of sending work out into the world is a kind of light seeking too. Let my poems find a good home, where they will reflect the light of the creative work around them, where they will then go out in larger groups to bring light to readers. It's an interesting metaphor. It's a plan to stay light-filled. --Yesterday morning, I realized that I had thrown out an unfinished rough draft of my Jesus Goes to Fashion School poem. It was in a stack of papers that I brought home from church, and I dumped it all into the recycling bin. --On a different day, I might have gone out to the bin to dig it out--but yesterday morning, it was raining torrentially, and I didn't relish the thought of finding it. Plus, I thought I could reconstruct the poem. As I was writing it, I wasn't truly pleased, and so I thought I'd experiment. I'd let the draft go, and write a new one last night. --Last night, however, I wasn't feeling like writing. Happily, this morning my mood had shifted, and so, I wrote another draft of the poem, a draft which I like better. --Why didn't I write last night? I was tired rather early in the evening--and so I sat and deleted old e-mails while listening to the coverage of the Iowa Caucuses. --I didn't expect to be so interested in the coverage. I've been finding political news stuff tiring for the past several years. I'm so tired of everyone's anger. Just accomplish something, and then go off and be angry. Figure out a way to work together like the grown ups that we're supposed to be, at least on a project or two. --But last night I was hearing the voices of ordinary citizens who showed up on a cold night to caucus for hours--more dedication, I might point out, than many of us would demonstrate. I found the voices of those citizens so inspiring, even when I didn't agree with them. I loved that they had carefully considered their choices. I love that they took it all so seriously. --It made me feel hope. I so need to feel hope. --The last week at work (from last Wed through yesterday) has left me a bit dispirited--lots of initiatives regarding curriculum strengthening and the like, that leaves me saying to myself, "This would have been great a few years ago when I had more people working for and around me, but we simply do not have the staff to do what you envision." --Yesterday a colleague asked me if I had any materials from the time when I was on a committee that evaluated student applications for a scholarship. I am now one of the ones of institutional memory--and lots and lots of data stored. I was able to find what she needed, but to do that, I looked through all sorts of old, electronic files. --I was both impressed with all that we used to do, and saddened to think about some of what we no longer do. I try to remind myself that we're doing good stuff now too--eight years from now, when I'm looking through all the files that I'm creating now, will I feel the same emotions? --But let me remember, too, the good parts of the past week. I want to remember our beautiful afternoon on Sunday. We moved to the front porch, where my spouse worked on his classes, and I read the first 8 chapters of Hard Times. I drank wine and nibbled some cheese and thought about other front porches, like my grandmother's. I would sit on her front porch and luxuriate in the feeling of watching the world go by at a lazy pace. Sunday was like that. It filled me with gratitude. 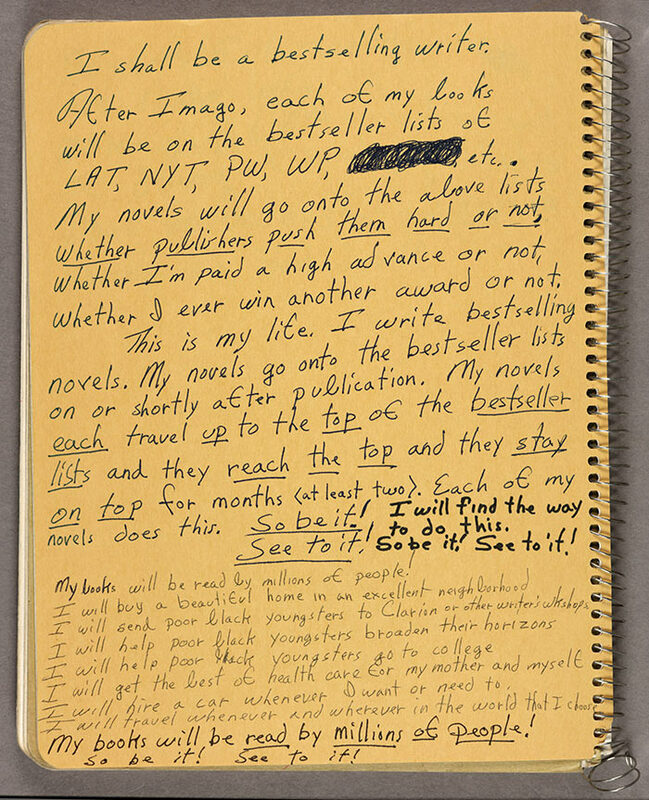 --Speaking of our emotional lives, I was interested to explore ideas that are coming to light as scholars organize the papers of Octavia Butler--and thanks to Jeannine for the link in her blog post to the materials. I love the assortment of notes that we find here. Her notebook page where she tries to figure out how to pay the rent while she's waiting for her publisher to pay--well, it breaks my heart, while at the same time, I know how the story ends. I want to say, "Hang on. You'll win a MacArthur. Your works will be taught across the nation. Better times are coming soon." --I need to remember that many authors who go on to be very important to the canon must endure years of perseverance. Just because we haven't been anointed yet does not mean that we're not good enough. --In Butler's words: "So be it! See to it!" --February 2 is also a congruence of holidays that celebrate light, the stirring of new life, the fact that Spring draws closer: Groundhog Day, Candlemas, Imbolc, and Oimelc. 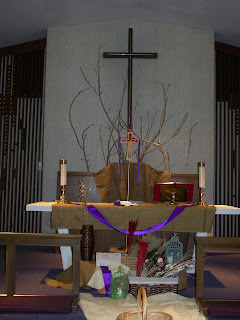 If you need something spiritual for your Candlemas reading, see this post on my theology blog. Today is the feast day of St. Brigid, one of the patron saints of Ireland. She is one of the early Christians who stood at the intersection of Christianity, Druidism, and the other pagan religions of Ireland. She is also one of those extraordinary women who did amazing things, despite the patriarchal culture in which she lived. She founded founded some of the first Christian monasteries in Ireland, most famously the legendary one in Kildare. She also founded a school of art that focuses on metal working and illumination. The illustrated manuscript, the Book of Kildare, was created under her auspices. Unfortunately, it's been lost since the Reformation, so we know it by its reputation only. Monastic, administrator, artist--it's no wonder that her story calls to me from across the centuries. I didn't really know much about Brigid until about 2011 or 2012, when I read several blog posts about her. In 2013, I drove all the way to Mepkin Abbey on her feast day. I thought about her life as I drove across cold landscapes. I finally wrote a draft of the poem that appears below. Four years ago, I wrote this: "I will try to imagine Saint Brigid through a more realistic lens. I will write a poem where she tells me that she accomplished all sorts of things along the way, while all the time struggling to create her great illuminated work. I will imagine something that she did that we know nothing of. I will imagine that she will feel sad when she realizes that modern people don't even know of her great work, but instead of her institutions at Kildare and beyond. I will think about a woman at midlife 1500 years from now, a woman who reads about my life. What will amaze her? How will she see the ways that I did, indeed, live an authentic life, even as I lost sight of that fact in the daily minutiae? If she blogged about me, what would seem important enough to include? How would she finish this sentence: In the last half of her life, Berkey-Abbott accomplished ______________ ?" I have yet to write about Brigid's lost work, but I did write the poem that imagines Brigid through a more realistic lens. In August, it was published in Adanna, and I'm happy to repost it here. If you want additional background on Brigid, see this blog post.